1. When is ENSIMISMADOS 2019? 2. Where is ENSIMISMADOS 2019? 3. How much is ENSIMISMADOS 2019, and what does that fee include? ENSIMISMADOS 2019 has different participation fees for each individual workshop and depending how early you register for the workshop. You can select workshop or workshops that best fit your personal interest. There is no fee that includes all the workshops together. In order to participate in this workshop you must attend since week 1. Only people who complete the 3 weeks of workshop get the participation certificate. The participation fee with or without accommodation stays the same. Only 5 dancer will be selected for this choreographic process. They will perform on Teatro de la Danza on September 13-14-15. They will be paid. Cheje Workshops do not alter their participation fee. They are 2 day workshops on weekends. 4. How do I pay for ENSIMISMADOS 2019? 5.Can I pay in cash when I get to Costa Rica? Absolutely not. In order to save you spot in ENSIMISMADOS 2019 you must make at least a USD200 deposit. However, the full amount for the workshop must be fully paid prior September 2019 in order to participate. 6. Can I make installment payments? Yes. We just opened up the ENSIMISMADOS SAVINGS PROGRAM where you can make as many payments as needed in order to get to the full amount of the workshop you want to attend. Just contact info@ensimismados.com to start. However, the full amount for the workshop must be fully paid prior September 2019 in order to participate. 7. Does ENSIMISMADOS INCLUDE ACCOMMODATION FOR THE WORKSHOPS? ONLY ZAMBRANO´S WORKSHOP FEE INCLUDES ACCOMMODATION. The rest of the workshop fees do not include accommodation. 8.How can I find accommodation close to Centro de Artes Promenade? We list some hostels here, all of them are kitchen-equipped and breakfast included. We also added the estimated walking distance to promenade. 9. What about transportation? 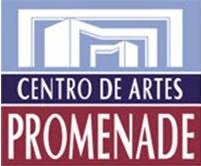 How do i get to Centro de Artes Promenade? By Uber: We highly suggest Uber because it is a lot safer and cheaper than a taxi. You will get internet access at the airport, just look for “centro de artes promenade” in the app and confirm with the driver that you are going to “zapote, in San Jose”. From the arrival exit, just cross the street and go around the airport, so that you end up in the front part of the airport. You will see a bus stop. Get on the one the says SAN JOSE (In doubt, you can check with the driver). This bus ticket is around CRC600 (USD1.5) and you pay directly to the driver. The ride is around 30min depending on traffic. 10. How to register for ENSIMISMADOS 2019? 11. How do I get a letter of invitation from ENSIMISMADOS 2019? *** just add the applicant's full name, identification number, the reason of the letter, and any other piece of information you might consider necessary for the purpose of your letter. 12. Do I need a visa to enter Costa Rica? 13. What else can i do in Costa Rica? We invite you to visit the Costa Rica section we set up for you with several activities to enjoy while you are visiting our country.